Click on picture for unwarped view. First of all this political cartoon is a wee bit unfair. At the time Arnold Schwarzenegger was just the Governor Elect of California. In his campaign, he promised Hollywood he would help stop foreign filming of films and television, especially in Canada. 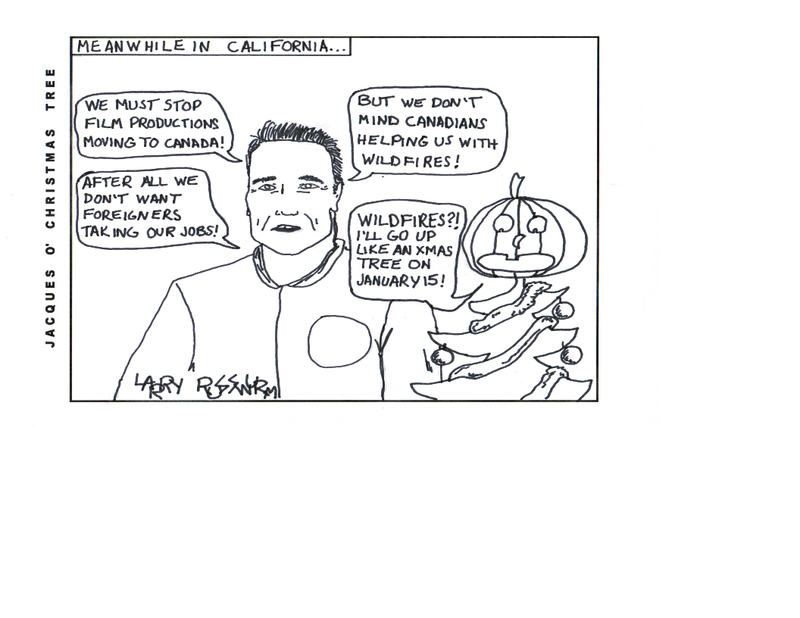 At the time wildfires were threatening large parts of California and Canadian firefighters volunteered their services and equipment use and California gladly accepted. He has been an actor, politico and BB. Whats next for arnold? ?